(…continued) Nothing can transform our whole way of thinking about everything more than the resurrection of Jesus, where death was turned into life. Death, that inevitable and final obliteration, was transformed from the end of everything into a new beginning. “Set your hearts on things above,” says Paul, and then, “When Christ, who is your life appears, then you also will appear with him in glory.” Set your minds on that resurrection from the dead, it says, and keep that in mind. Then, you need not be desperate to get it all, have it all, or experience it all here in this little world and this short life. There’s more to come. We will rise to live again. Have you seen those books like 100 Things to Do Before You Die, or, 100 Places to See Before You Die? 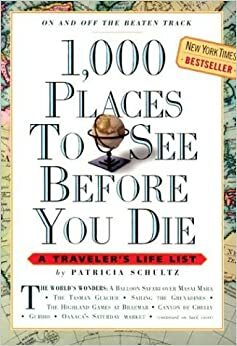 There is even one that lists 1000 Places to See Before You Die. Those books must be for people whose ‘to-do list’ isn’t already long enough. I sure don’t need a thousand more things on my to-do list. There always seemed to me to be a certain desperation in the ‘before you die’ part of those titles. It is as if you have to hurry up and get that all done really fast, because after you die it will be too late to enjoy anything. But that’s not at all how a believer in Jesus would look at this, not if Christ’s resurrection promise has had any impact on them. “Set your mind on things above.” There are far better things promised than anything you can find in any of those books, even lists of the 1000 most fun things and interesting things to see and do all over this world. The Bible says that glories beyond imagining await us in that heavenly home. Do you believe that? Is that your hope? After all, it was God who created this wonderful little world that we call home for a little while. Do you think his vast heavenly kingdom, his own home, will be any less wonderful? Having the proper perspective on life is always important. The Gospel gives us a much larger perspective than would otherwise be imaginable, but life itself forces upon us a realistic perspective. The ancient Romans knew that. For centuries, the army of the Roman Empire was the most powerful military force on earth. They conquered, and held for many centuries, all of Europe, much of Northern Africa, and lands well into western Asia. Their generals were the best in the world, won great victories, and had tremendous power and prestige. These generals would be honored with great victory parades, receiving respect and praise like few human beings would ever know. Sometimes when on parade, to keep them humble, these great and powerful generals would have a slave riding with them in the chariot whose job was to keep whispering into the ear of the general the Latin phrase, ‘memento mori, memento mori…,” translated, “Remember that you are mortal, remember that you will die.” Amidst the loud clamor of such great honors and praise, this word of reality and truth, spoken to them again and again, gave them the necessary perspective to keep them from getting too proud or overconfident. 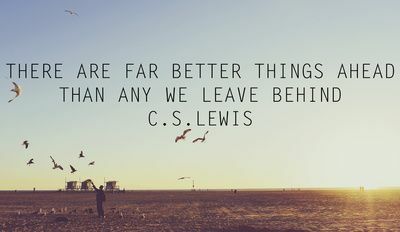 That is a good perspective for everyone to keep in mind, and if remembered, would be a reminder to keep looking to Jesus. Philippians 1:21-24 — For to me, to live is Christ and to die is gain. If I am to go on living in the body, this will mean fruitful labor for me . Yet what shall I choose? I do not know! I am torn between the two: I desire to depart and be with Christ, which is better by far; but it is more necessary for you that I remain in the body. May God give us light to guide us, courage to support us, and love to unite us, now and forever. Amen.